Smartphones are getting more and more powerful, but there are billions of people who can't afford even a lowly $100 smartphone. A problem Google hopes to solve with Android Go, which will provide a decent Android experience work on smartphones with very limited hardware, even with 512MB of RAM. Lately we've seen a trend of services whose apps have grown to big, forcing them to launch "lite" versions of their apps. With Android Go, Google applies the same concept to the entire operating system. It will be based on the upcoming Android O, which will be more efficient than ever (and now available in beta as of today) to create an even more efficient version aimed at smartphones with very limited hardware. This Android Go will be designed from the ground up to run on devices with less than 1GB of RAM and with limited data connections. 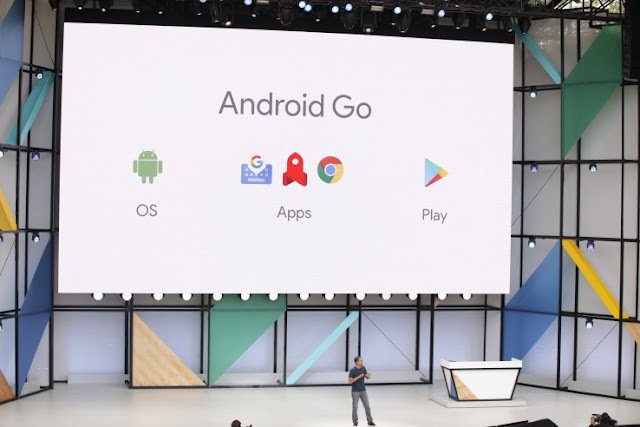 While Android Go has access to all of the apps in the Play Store, there will be apps optimized for Go, which will not occupy more than 10MB of space, are prepared to work offline, and will take into account the fact that they will be used in smartphones with limited RAM and slower CPUs. Android Go will feature a number of optimized Google apps such as Chrome and YouTube Go, the latter with some interesting details such as a preview before you even start downloading the video, the ability to choose the quality before you see it, or the ability to share that video with friends' smartphones using P2P transfers.